Robert K. Richardson represents large and small businesses and local governmental entities in a wide range of government contracting matters under the Virginia Public Procurement Act and local jurisdiction procurement requirements, and clients in all aspects of the construction industry in the private construction marketplace. His practice ranges from counseling to disputes and claims, disputes litigation, advising clients regarding drafting and negotiation of contracts, prosecuting and defending mechanic's lien and payment bond claims, and prosecuting and defending other dispute related to construction issues. Mr. Richardson lectures throughout Virginia at seminars on mechanic's liens, construction law, construction contracts, and litigation. He wrote the chapter entitled "Effective Trial Presentations" in the Virginia Construction Law Deskbook and has had articles published on perfection and enforcement of mechanic's liens and notice of claim requirements under the Virginia Public Procurement Act. Mr. Richardson has been lead counsel in numerous cases resulting in reported opinions from the Supreme Court of Virginia, the U.S. Court of Appeals for the Fourth Circuit, and the U.S. District Court for the Eastern District of Virginia. 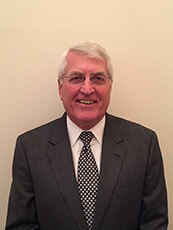 Mr. Richardson received his undergraduate degree in economics from Duke University in 1970, and graduated from The George Washington School of Law in 1973. He is a member of the Bars of Virginia and the District of Columbia. After 42 years with the firm Odin, Feldman & Pittleman, P.C., Mr. Richardson opened The Law Office of Robert K. Richardson in Fairfax, Virginia in September, 2016. He has been selected by his peers for inclusion in the The Best Lawyers in America® 2016 for Construction Law and for 2017 for Construction Law and Commercial Litigation.